Doctor of the Church, Cardinal-Bishop of Ostia, born at Ravenna “five years after the death of the Emperor Otto III,” 1007; died at Faenza, 21 Feb., 1072. He was the youngest of a large family. His parents were noble, but poor. At his birth an elder brother protested against this new charge on the resources of the family with such effect that his mother refused to suckle him and the babe nearly died. A family retainer, however, fed the starving child and by example and reproaches recalled his mother to her duty. Left an orphan in early years, he was at first adopted by an elder brother, who ill-treated and under-fed him while employing him as a swineherd. The child showed signs of great piety and of remarkable intellectual gifts, and after some years of this servitude another brother, who was archpriest at Ravenna, had pity on him and took him away to be educated. This brother was called Damian and it was generally accepted that St. Peter added this name to his own in grateful recognition of his brother’s kindness. He made rapid progress in his studies, first at Ravenna, then at Faenza, finally at the University of Parma, and when about twenty-five years old was already a famous teacher at Parma and Ravenna. But, though even then much given to fasting and to other mortifications, he could not endure the scandals and distractions of university life and decided (about 1035) to retire from the world. While meditating on his resolution he encountered two hermits of Fonte-Avellana, was charmed with their spirituality and detachment, and desired to join them. Encouraged by them Peter, after a forty days’ retreat in a small cell, left his friends secretly and made his way to the hermitage of Fonte-Avellana. Here he was received, and, to his surprise, clothed at once with the monastic habit. Both as novice and as professed religious his fervour was remarkable and led him to such extremes of penance that, for a time, his health was affected. 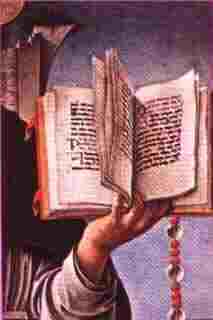 He occupied his convalescence with a thorough study of Holy Scripture and, on his recovery, was appointed to lecture to his fellow-monks. 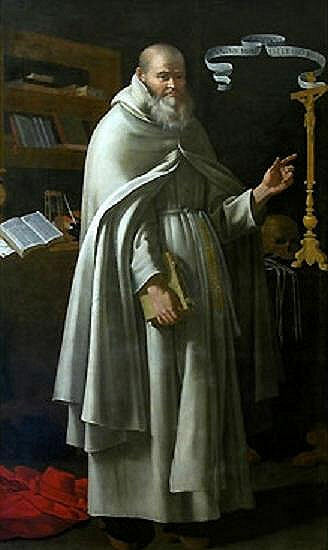 At the request of Guy of Pomposa and other heads of neighbouring monasteries, for two or three years he lectured to their subjects also, and (about 1042) wrote the life of St. Romuald for the monks of Pietrapertosa. Soon after his return to Fonte-Avellana he was appointed economus of the house by the prior, who also pointed him out as his successor. This, in fact, he became in 1043, and he remained prior of Fonte-Avellana till his death. His priorate was characterized by a wise moderation of the rule, as well as by the foundation of subject-hermitages at San Severino, Gamugno, Acerata, Murciana, San Salvatore, Sitria, and Ocri. 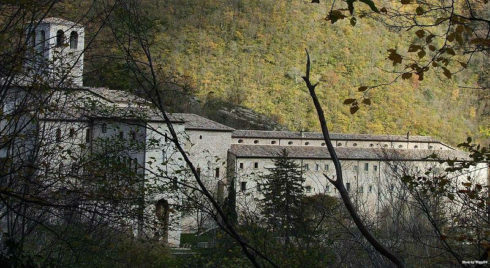 It was remarkable, too, for the introduction of the regular use of the discipline, a penitential exercise which he induced the great abbey of Monte Cassino to imitate. there was much opposition outside his own circle to this practice, but Peter’s persistent advocacy ensured its acceptance to such an extent that he was obliged later to moderate the imprudent zeal of some of his own hermits. another innovation was that of the daily siesta, to make up for the fatigue of the night office. During his tenure of the priorate a cloister was built, silver chalices and a silver processional cross were purchased, and many books added to the library. Although living in the seclusion of the cloister, Peter Damian watched closely the fortunes of the Church, and like his friend Hildebrand, the future Gregory VII, he strove for her purification in those deplorable times. 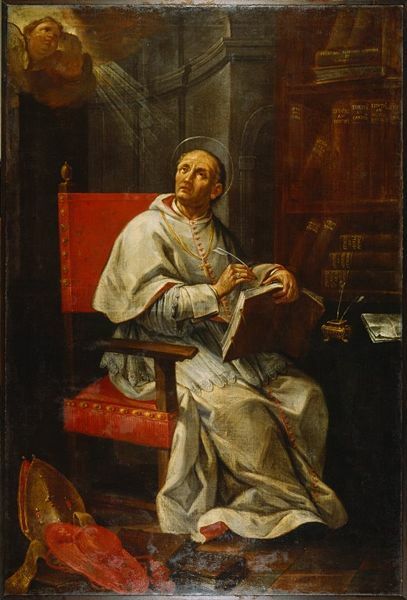 In 1045 when Benedict IX resigned the supreme pontificate into the hands of the archpriest John Gratian (Gregory VI), Peter hailed the change with joy and wrote to the pope, urging him to deal with the scandals of the church in Italy, especially with the evil bishops of Pesaro, of Citta di Castello, and of Fano. He was present in Rome when Clement II crowned Henry III and his wife Agnes, and he also attended a synod held at the Lateran in the first days of 1047, in which decrees were passed against simony. After this he returned to his hermitage. Pope St. Leo IX was solemnly enthroned at Rome, 12 Feb., 1049, to succeed Damasus II, and about two years later Peter published his terrible treatise on the vices of the clergy, the “Liber Gomorrhianus”, dedicating it to the pope. It caused a great stir and aroused not a little enmity against its author. Even the pope, who had at first praised the work, was persuaded that it was exaggerated and his coldness drew from Damian a vigorous letter of protest. 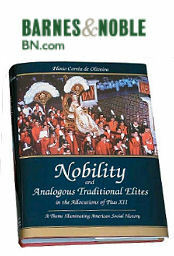 Meanwhile the question arose as to the validity of the ordinations of simoniacal clerics. The prior of Fonte-Avellana was appealed to and wrote (about 1053) a treatise, the “Liber Gratissimus”, in favour of their validity, a work which, though much combatted at the time, was potent in deciding the question in their favour before the end of the twelfth century. In June, 1055, during the pontificate of Victor II, Damian attended a synod held at Florence, where simony and clerical incontinence were once more condemned. About two years later he fell ill at Fonte-Avellana and nearly died, but suddenly, after seven weeks of pain, recovered, as he believed, through a miracle. During his illness the pope died, and Frederic, abbot of Monte Cassino, was elected as Stephen X. In the autumn of 1057, Stephen X determined to create Damian a cardinal. For a long time he resisted the offer, but was finally forced, under threat of excommunication, to accept, and was consecrated Cardinal-Bishop of Ostia on 30 Nov., 1057. 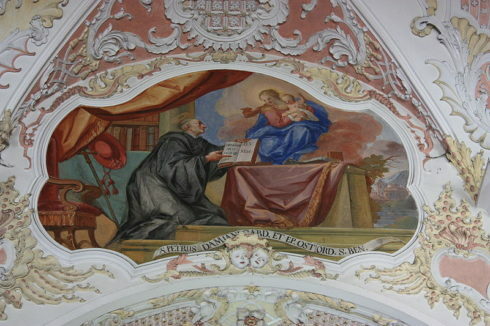 In addition he was appointed administrator of the Diocese of Gubbio. The new cardinal was impressed with the great responsibilities of his office and wrote a stirring letter to his brother-cardinals, exhorting them to shine by their example before all. Four months later Pope Stephen died at Florence and the Church was once more distracted by schism. The Cardinal of Ostia was vigorous in his opposition to the antipope Benedict X, but force was on the side of the intruder and Damian retired to Fonte-Avallana. About the end of the year 1059 Peter was sent as legate to Milan by Nicholas II. The Church at Milan had been, for some time, the prey of simony and incontinence. So bad was the state of things, that benefices were openly bought and sold and the clergy publicly “married” the women they lived with. But the faithful of Milan, led by St. Ariald the Deacon and St. Anselm, Bishop of Lucca, strove hard to remedy these evils. At length the contest between the two parties became so bitter that an appeal was made to the Holy See to decide the matter. Nicholas II sent Damian and the Bishop of Lucca as his legates. But now the party of the irregular clerics took alarm and raised the cry that Rome had no authority over Milan. At once Peter took action. Boldly confronting the rioters in the cathedral, he proved to them the authority of the Holy See with such effect that all parties submitted to his decision. He exacted first a solemn oath from the archbishop and all his clergy that for the future no preferment should be paid for; then, imposing a penance on all who had been guilty, he re-instated in their benefices all who undertook to live continently. This prudent decision was attacked by some of the rigourists at Rome, but was not reversed. Unfortunately, on the death of Nicholas II, the same disputes broke out; nor were they finally settled till after the martyrdom of St. Ariald in 1066. Meanwhile Peter was in vain pleading to be released from the cares of his office. Neither Nicholas II nor Hildebrand would consent to spare him. 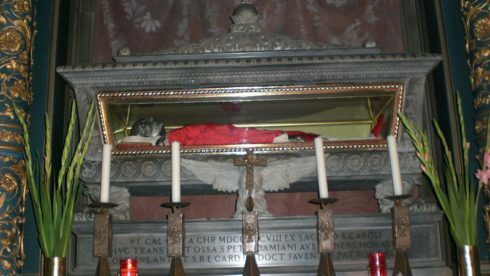 The body of St. Peter Damian at the Cathedral of Faenza. In July, 1061, the pope died and once more a schism ensued. 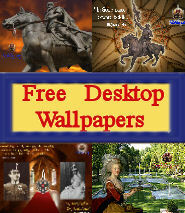 Damian used all his powers to persuade the antipope Cadalous to withdraw, but to no purpose. Finally Hanno, the Regent of Germany, summoned a council at Augsburg at which a long argument by St. Peter Damian was read and greatly contributed to the decision in favour of Alexander II. In 1063 the pope held a synod at Rome, at which Damian was appointed legate to settle the dispute between the Abbey of Cluny and the Bishop of Mâcon. He proceeded to France, summoned a council at Chalon-sur-Saône, proved the justice of the contentions of Cluny, settled other questions at issue in the Church of France, and returned in the autumn to Fonte-Avellana. While he was in France the antipope Cadalous had again become active in his attempts to gain Rome, and Damian brought upon himself a sharp reproof from Alexander and Hildebrand for twice imprudently appealing to the royal power to judge the case anew. In 1067 the cardinal was sent to Florence to settle the dispute between the bishop and the monks of Vallombrosa, who accused the former of simony. His efforts, however, were not successful, largely because he misjudged the case and threw the weight of his authority on the side of the bishop. The matter was not settled till the following year by the pope in person. In 1069 Damian went as the pope’s legate to Germany to prevent King Henry from repudiating his wife Bertha. This task he accomplished at a council at Frankfort and returned to Fonte-Avellana, were he was left in peace for two years. Early in 1072 he was sent to Ravenna to reconcile its inhabitants to the Holy See, they having been excommunicated for supporting their archbishop in his adhesion to the schism of Cadalous. On his return thence he was seized with fever near Faenza. 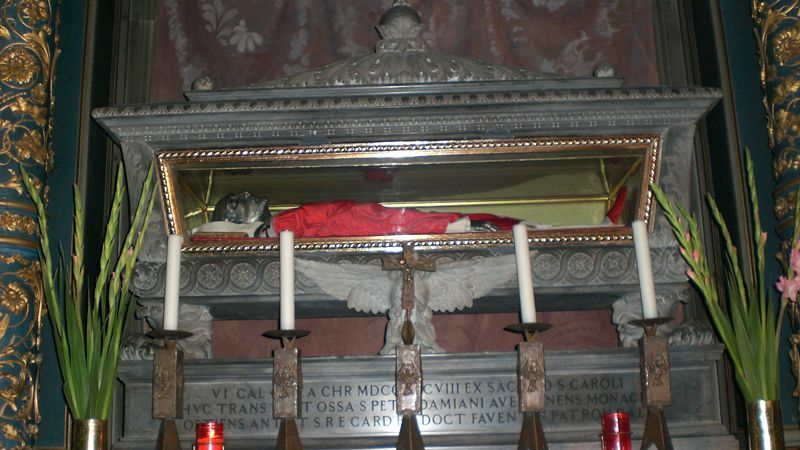 He lay ill for a week at the monastery of Santa Maria degl’Angeli, now Santa Maria Vecchia. On the night preceding the feast of the Chair of St. Peter at Antioch, he ordered the office of the feast to be recited and at the end of the Lauds he died. He was at once buried in the monastery church, lest others should claim his relics. Six times has his body been translated, each time to a more splendid resting-place. It now lies in a chapel dedicated to the saint in the cathedral of Faenza in 1898. No formal canonization ever took place, but his cultas has existed since his death at Faenza, at Fonte-Avellana, at Monte Cassino, and at Cluny. In 1823 Leo XII extended his feast (23 Feb.) to the whole Church and pronounced him a Doctor of the Church. The saint is represented in art as a cardinal bearing a discipline in his hand; also sometimes he is depicted as a pilgrim holding a papal Bull, to signify his many legations. 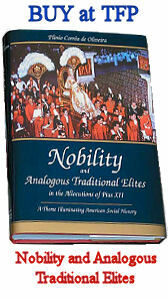 [Nobility.org comment: St. Peter Damian’s parents were noble but poor. There is a lesson here for us today submerged as we are in a world that worships at the altar of Mammon and despises those who cannot command great wealth.